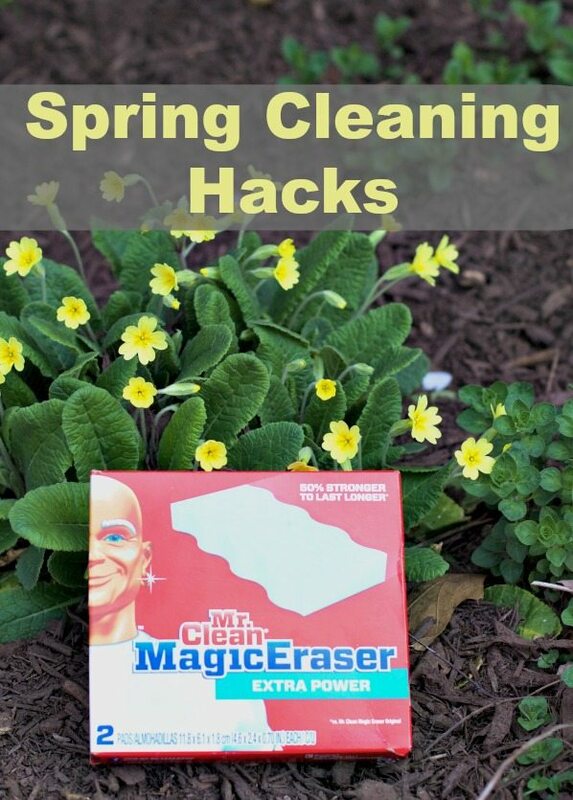 This review about Spring Cleaning Hacks with Mr. Clean Magic Eraser was made possible by iConnect and Mr. Clean. I was provided compensation to facilitate this post, but all opinions stated are my 100% mine. Once all the holiday decor is put away, you can really get a better picture of your home and all the little scratches and marks left behind by kids and entertaining. Spring is a time to open your windows and clean out closets, wash windows, clear up the yard. With three active kids, the boys especially, a day does not go by that they are not jumping on the walls or racing around the house scuffing up the stairs etc. While it would be wonderful to be able to paint the house every year, let’s get realistic it just won’t happen for multiple reasons. That is when I reach for the Mr. Clean Magic Eraser. Find out just how versatile this little eraser can be in helping with your Spring Cleaning Chores. 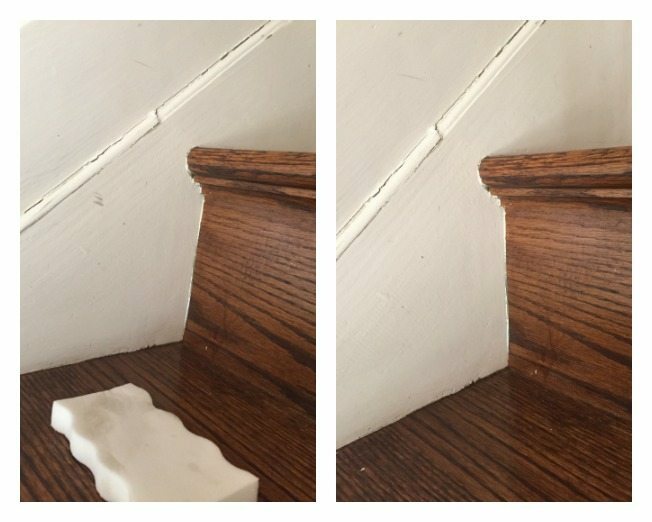 The wood stairs in our house get scuffed up. See how Mr Clean Magic Eraser takes care of these stubborn smudges in seconds. Now on the wood steps themselves. I can’t wait to get outside to enjoy a meal when the weather warms up. We leave our outdoor dining table outside so grime accumulates. Mr Clean Magic Eraser did an amazing job cleaning this up with little effort. Now I need to bring the chairs and umbrella out. Winter Walls are no longer filled with fingerprints and who knows what. Just go around the house with the damp Mr Clean Magic Eraser and wipe those smudges away. You might even forget for a few minutes that you have children! Now it is time to get spring cleaning work done so you can enjoy the amazing weather. 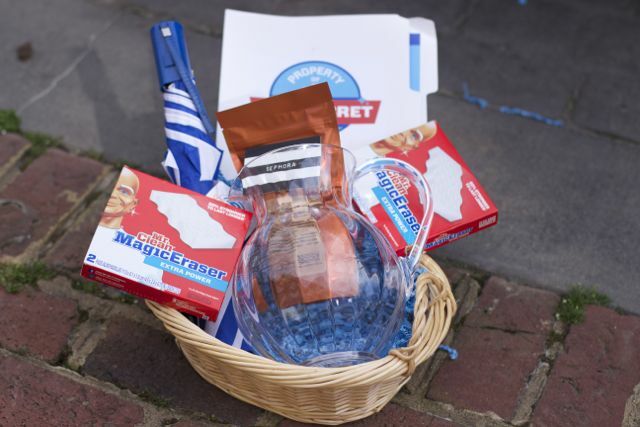 Enter to win a great Mr Clean Magic Eraser Gift Basket to get a head start on those spring cleaning hacks. Enter the Rafflecopter below. I put saran wrap on my shelves in my refrigerator and just peel them off when they get dirty. I steal my husbands tool belt to keep rags and cleaners in while cleaning the house so I have everything with me. Use the attachments on your vacuum to clean your mattress and the crevices in your bed frame. I like to organize items as I clean to save time. I like to listen to music while I clean. It makes the job easier and more fun! Vacuum baseboards before cleaning them to get any dust off! I tackle one room at a time and use Clorox wipes to clean. 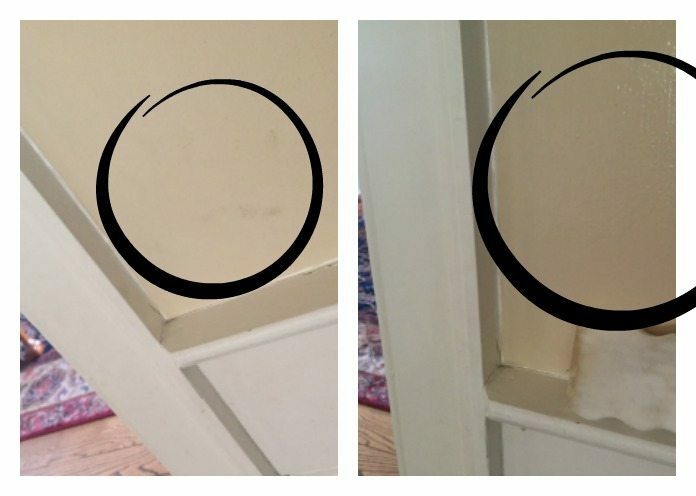 My favorite cleaning hack is bleached soaked cotton (like the kind used around your hairline for coloring hair) around the caulking in the tub. Cleaning wipes. They make cleaning ALOT faster! I always leave rags in the vehicle as it is black and shows up everything. A quick wipe of areas and looks great again. I keep a basket with cleaning essentials and rags in each room of the house so I can do some cleaning whenever I have a few minutes. love to clean out the house room by room. my kids help out which is great and help take items to goodwill for donation. what a great tip, they are not that expensive in bulk. Coffee filters to clean windows/mirrors/glass tables. I learned this during my many years working in restaurants. Perfect for streak free cleaning! My best spring cleaning hack isn’t really a hack but good advice, don’t jump between tasks finish one completely before starting on another. A cleaning tip I have to share is using an over the door shoe organizer to hold your cleaning supplies in the closet to help you to save more space! I like to tuck a small cotton ball with essential oil in the corner of my clean window sill. Makes great air fresheners! I use vinegar and baking soda to clean out the tub and drains. Put on some upbeat music and a timer for a SHORT length of time (like ten minutes). Everybody has to clean as fast as they can for ten minutes, then STOP and take a break! It’s amazing how much you can get done in ten minutes if you’re motivated! I use lemons to clean my fridge and leave some cut up lemons pieces to keep it smelling fresh. My spring cleaning hack ,is to make a list of things to do each day,then mark them off as they get done.makes it a lot easier. 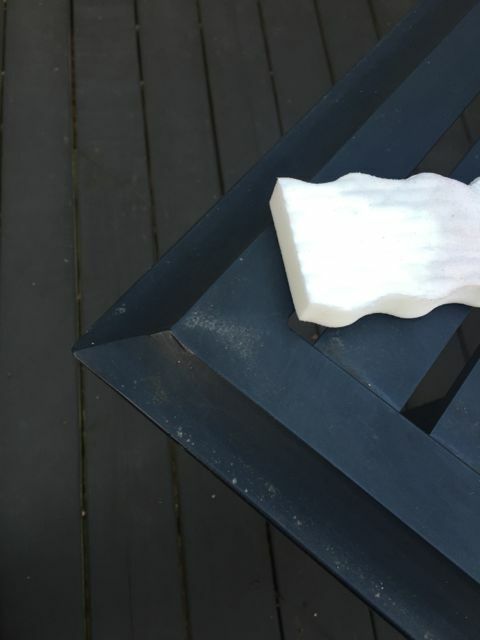 Use magic eraser to clean your stove to without scratching. I try to focus on one room at a time when cleaning. I think of the whole family pitches in and spends a few hours doing a deep clean it goes by super fast. I get rid of almost everything I haven’t used in any way for a year unless it holds special memories. I go through my whole wardrobe and donate things I don’t wear as well as scrub and sweep the surfaces. My favorite cleaning hack is to use baking soda and hot water to clean stove top. I like to open every window and door and then dust and sweep the entire house. My hack is to have kids so they can help you with it all. I clean my stainless sink with baking soda and water. It cleans and shine the sink. I clean my garage by selling some stuff that I haven’t been using and do the same for my wardrobe as well. I clean my glass stove top with a paste made from baking soda and water; a little scrubbing with the paste on a sponge and the stove top is clean, clean, clean! My favorite spring cleaning hack to to put as many household items as possible in the dishwasher and let it do the work for me 😉 Me and my Magic Eraser will do the rest! I like cleaning my windows with vinegar and water, and newspaper.